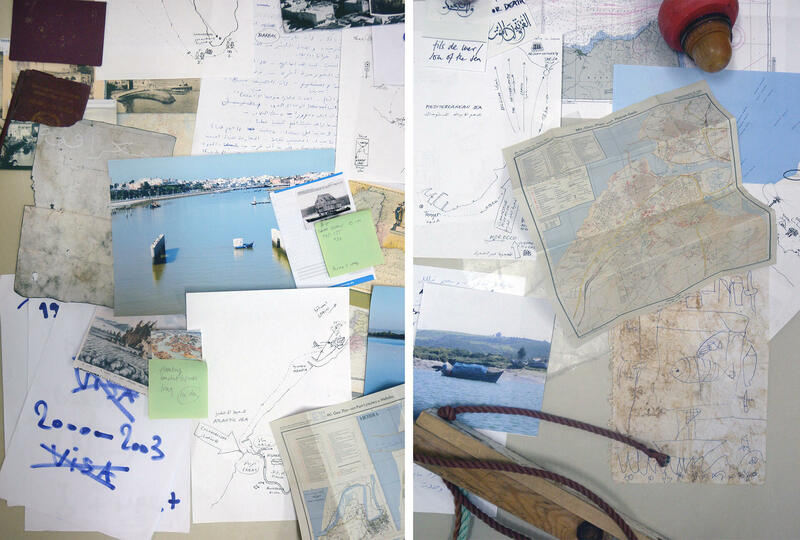 During this evening, Katrin Ströbel and Mohammed Laouli present their project frontières fluides – fluid boundaries, from Rabat-Salé to Playa Blanca and Amsterdam. The project was Initiated during an artist residence at Le Cube – independent art room – and is currently exhibited at Le Cube. Certain extracts of videos will be screened for this special event, which will be extended to include interactions and exchange with the public. The project frontières fluides – fluid boundaries considers borders made up of water (between two cities, two countries, two geographies) not as lines of demarcation, but as singular spaces where lives are lived, and economies and specific trajectories of thoughts are elaborated. Mohammed Laouli and Katrin Ströbel have built temporary shelters on boats and invested navigable borders as their major focal point. With their “nomadic-boat” they go to meet people who live and work at these specific places. From the interactions emerges an infinity of narratives that constitute the raw material of their work. Through installations, the artists thus analyze in a renewed way the cultural, social and economic impacts of life in these common places.